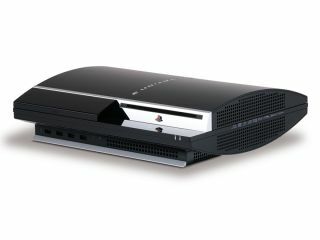 Yet ANOTHER PS3 SKU on the way in the US? Those pre-E3 rumours just keep on coming this week, with the latest suggesting that Sony Computer Entertainment America (SCEA) is looking to replace the 40GB PS3 unit in the US in August. The rumour comes from a Wal-Mart spreadsheet, which you can see over on Joystiq which clearly states that the 40GB PS3 is to be "replaced with [a] new model in early August." Let's be crystal clear that a new PS3 SKU (stock keeping unit) need not mean an entirely new spec or form factor. It might, as Joystiq rightly points out in its report, "simply mean some minor tweaks to the model and the addition of the DualShock 3." The latter part of that speculation sounds about right to us, but we will have to wait until Sony's E3 conference in LA next Tuesday at 11.30am west coast time (7.30pm GMT) when all will be made clear. Stay tuned for more from the E3 rumour mill as we patiently sort the wheat from the chaff.